These are texts we’ve previously published online as Portable Document Formats in the Library at www.dextersinister.org. The loose 8-page signatures provided are intended to be bound and reintroduced into library collections. EVERY DAY THE URGE GROWS STRONGER TO GET HOLD OF AN OBJECT AT VERY CLOSE RANGE BY WAY OF ITS LIKENESS, ITS REPRODUCTION. 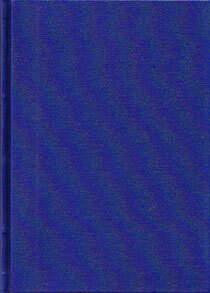 This was commissioned by the Art Libraries Society of New York for a conference on contemporary artists’ books produced in collaboration with Printed Matter’s NY Art Book Fair from 23–26 October 2008. It was printed by Duncan Hamilton on a Riso RP3700 stencil printer in an edition of 400 copies and co-ordinated by David Senior, Museum of Modern Art. These signatures were produced using TEX, an automated typesetting program written by Donald Knuth in 1979 to facilitate professional typographic production by a wide range of users, particularly in the mathematic and scientiﬁc communities. As opposed to industry-standard page-layout softwares that implement a ‘What You See Is What You Get’ (WYSIWYG) paradigm, TEX produces ‘What You See Is What You Mean’ (WYSIWYM) by using plain text ﬁles and a semantic mark-up language compiled on-the-ﬂy to produce ﬁnal pages.